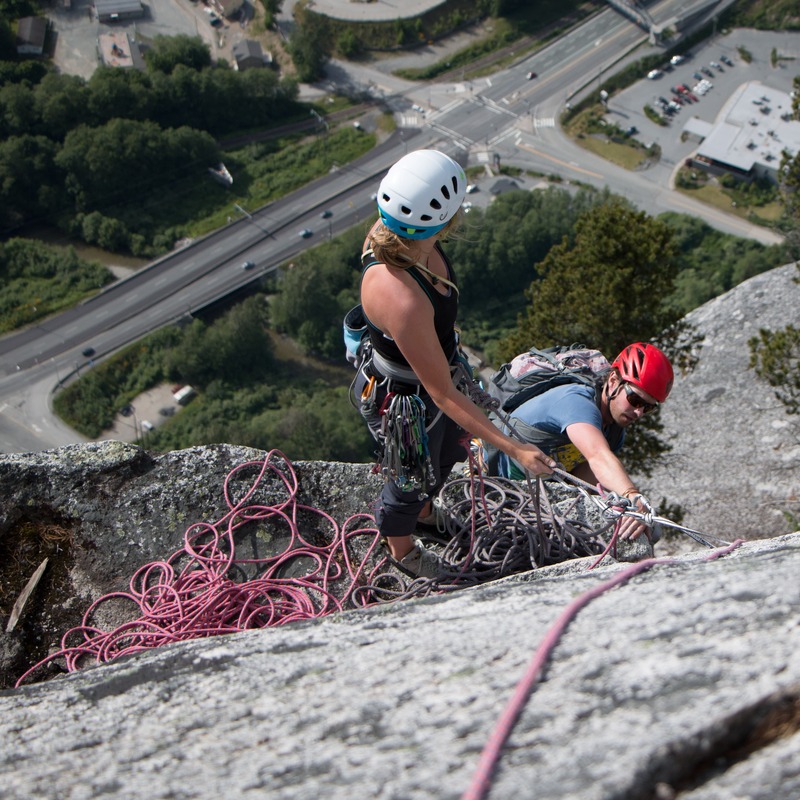 A climbing helmet becomes a critical piece of safety gear when transitioning outdoors. Some cragging areas can be prone to rock fall while in other areas your main concern might be protecting your head in a fall. However not all helmets are created equal. 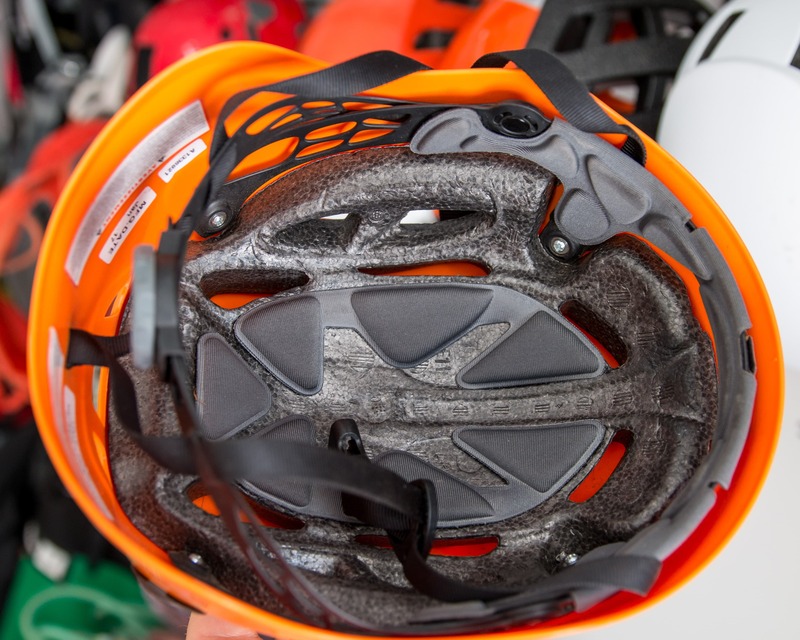 To help you pick the right one for you this article will outline the main types of helmets, features to consider when you’re out shopping and wraps up with a few suggestions to get you started. Interior of a typical Hard Shell climbing helmet. Some have foam down the sides but most only have it at the top like this BD Half Dome helmet. Petzl Meteor III, a common In-Mold helmet. As you can see this one saved my melon from a rock and so has been retired. Petzl Sirocco Hybrid Helmet: PC shell over EPS foam on the top with black EPP foam everywhere else. Of course these are the main classifications only. As you can expect, there are models that defy classifying in this way. 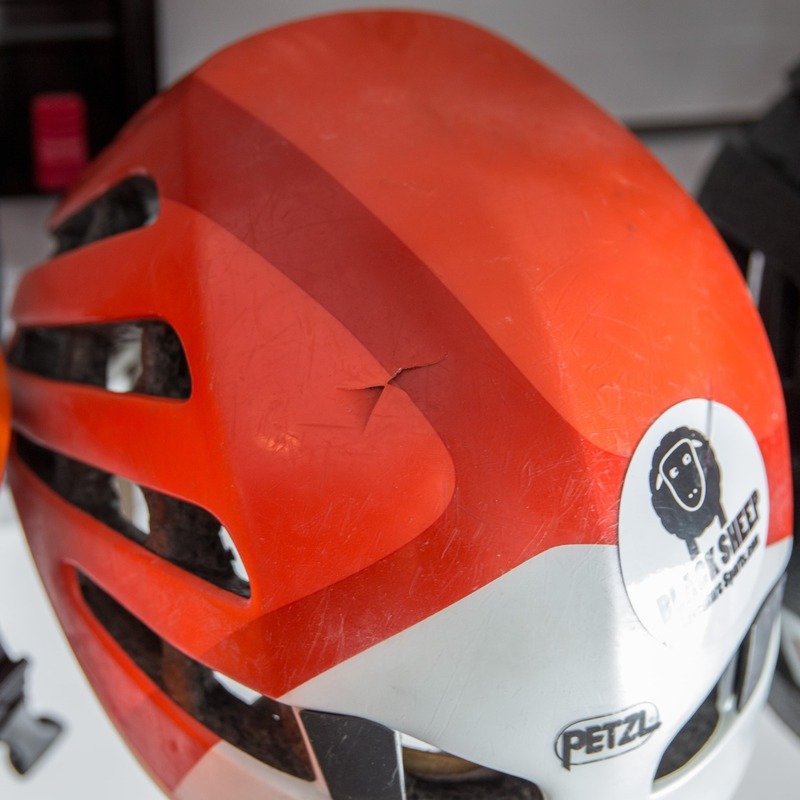 A great example is the new Petzl Boreo which has an ABS Hard Shell over a Hybrid EPS & EPP foam body. Now that you know what the different types of helmets are let’s discuss the main factors to consider when looking for a helmet. These are: Weight, Fit, Durability and the Type of Protection offered. Weight is a consideration with all climbing equipment including helmets. Heavier units can be more fatiguing on the neck, especially on long multi-pitch routes. Lighter helmets, on the other hand, are more delicate and often more expensive. 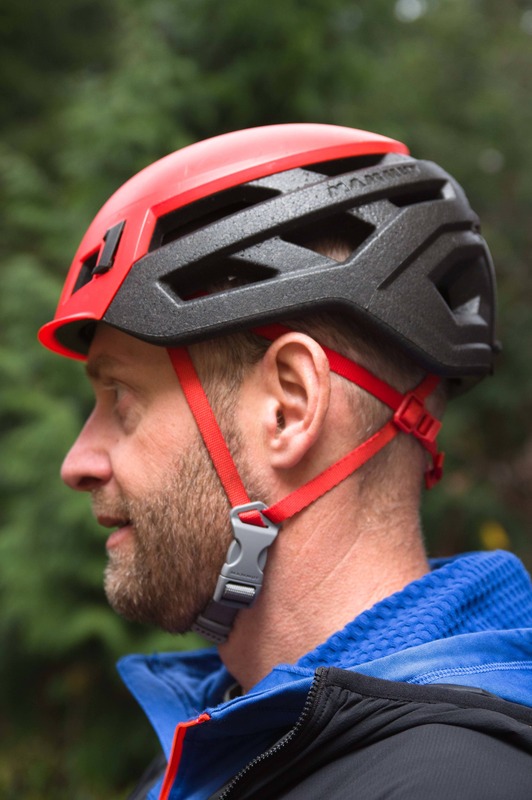 If your climbing helmet fits you’ll forget you’re wearing it. A helmet will only work properly if it fits so you’ll want to be sure that you get the right one. To fit the helmet: put it on, snug up the harness and then vigorously nod your head like you’re at a rock concert. If it stays securely in place it’s a fit. If not, try a different size or model. There are also kids specific climbing helmets if you’re shopping for a son/daughter and Women specific as well. There seems to be little that’s really different between a women’s specific helmet other than color with many companies though others other a modified harness to accommodate a pony tail. Durability is a function of the helmet type as well as design. Hard Shell helmets are the most durable as the thick ABS shell distributes loads and protects the underlying foam from damage. The thin PC shell utilized on In-Mold helmets on the other hand doesn’t offer much protection to the EPS foam making this type of helmet much more delicate. Hybrid helmets seem fall in-between the other two types as the EPP foam is a bit more resilient than the EPS. While all climbing helmets are certified to the same standard (EN 12492) there’s still some variability in the protection offered. The main difference is found in the distribution of the foam. Very few Hard Shell type helmets have foam along the sides. So while they will protect the sides of the head against a direct impact they don’t provide much in the way of cushioning. Hybrid and In-Mold type helmets, on the other hand, all have foam along the sides and so provide a bit more protection from a side impact. Some common In-Mold helmets on a fun Squamish Multi-pitch. 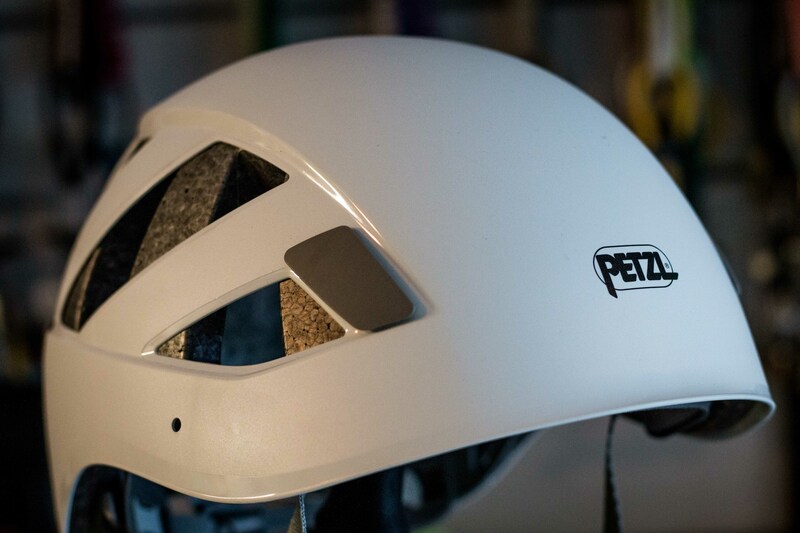 Petzl Boreo: A versatile and rugged helmet, the Boreo’s ideal for cragging where a little extra weight isn’t a deal breaker. Basically a Hard Shell type helmet but with EPP foam around the sides for additional protection from side impacts. While it’s a bit on the heavier side at 295g (M/L) this weight is more than made up for in safety, durability and a reasonable price point. Mammut Wall Rider: This Hybrid helmet is lightweight, well featured and still quite durable. The small PC cap on the top is a bit thicker than an In-Mold shell protecting the top from damage while additional side impact protection is provided by the EPP foam body. The EPP foam also eliminates the need for a shell along the sides keeping the weight down to a very reasonable 220g. The price point is a bit higher though. Mammut Wall Rider Hybrid Helmet. 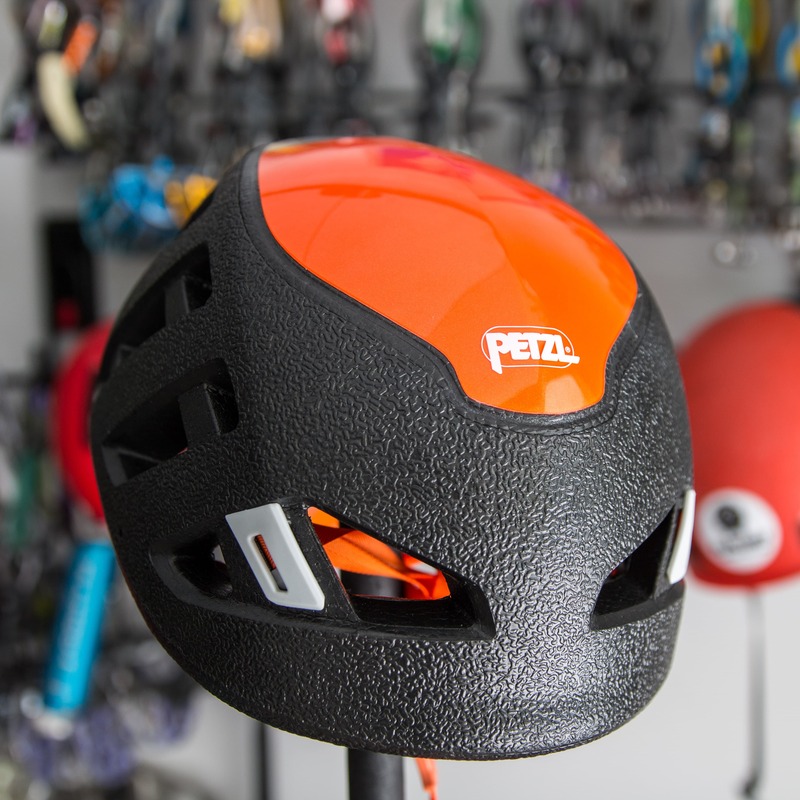 Petzl Sirocco: If you want to spend a bit more money on an even fancier helmet the Sirocco has a great fit and weights in at a feather light 170g. On the flip side of the coin, I would suggest avoiding the Black Diamond Vapor for a first outdoor helmet. It has a huge number of vents along the back and sides which has made it quite delicate and prone to cracking if not treated with the upmost care. Of course any such damage to the helmet will compromise protection. 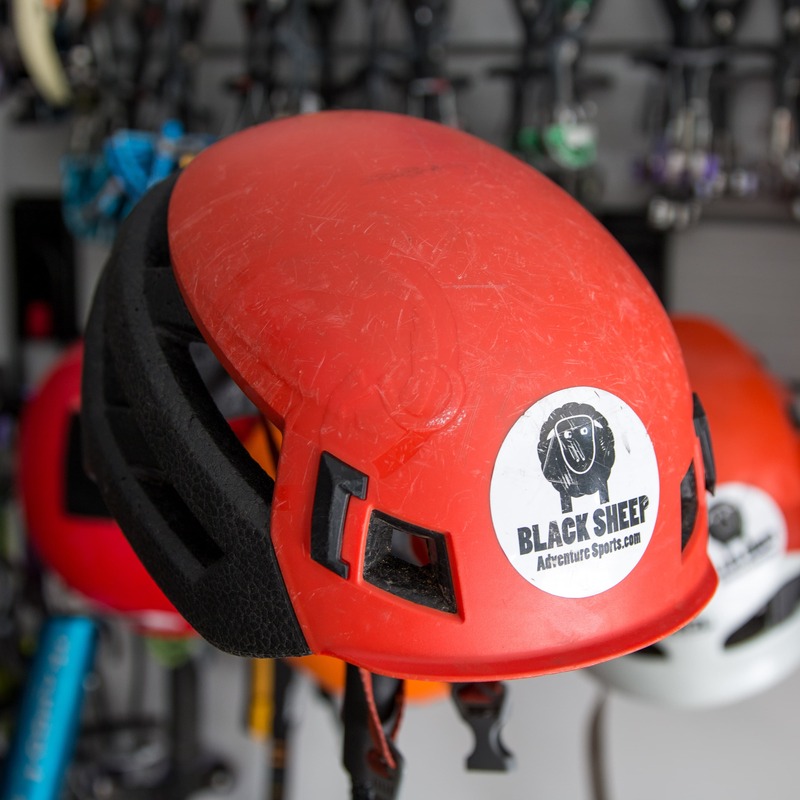 Some of the helmets highlighted in this article were supplied to Black Sheep for review while others were not. The source of the equipment did not influence our opinions in any way.